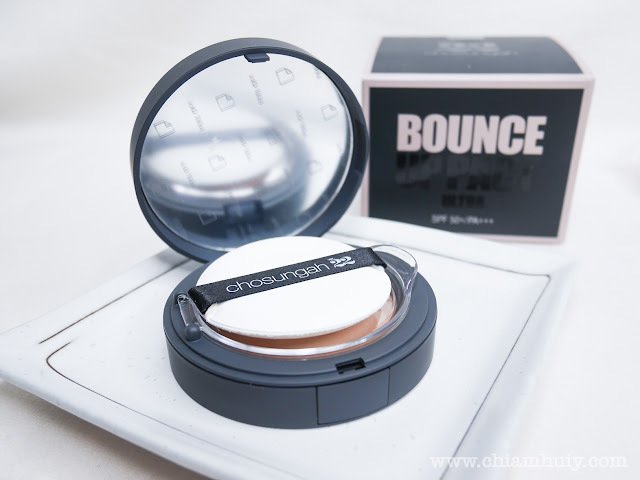 If you are very active in the beauty scene, you would have heard of this Korean brand - Chosungah22. Making quite a big hit as it entered Singapore not too long ago (SASA Singapore), this brand has already received quite a lot of talks and attention back in Korea. Reason being, this brand was created by a famous Korean makeup artists and the products she carries are really amazing. 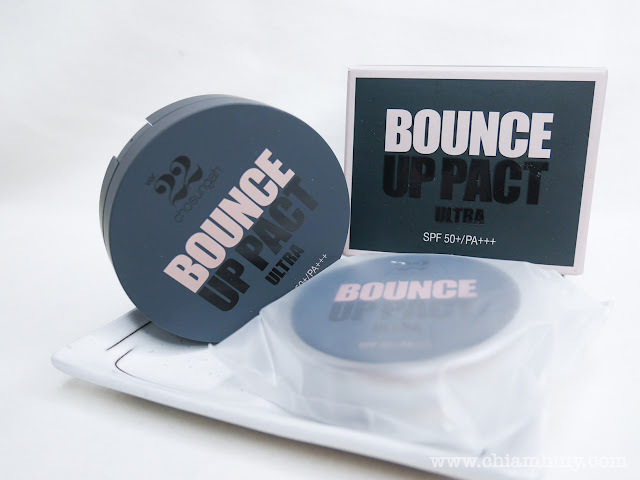 Chosungah22 Bounce Up Pact Ultra SPF50+/ PA+++ | is definitely one of the product popular in the Chosungah22 makeup line. Let's have a look at this wonderful pact. 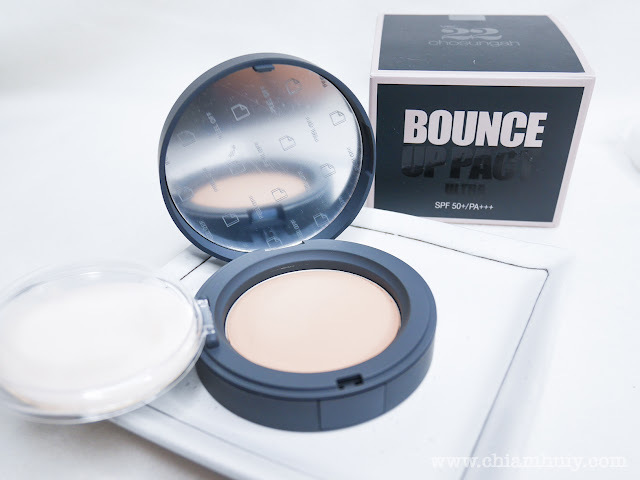 At first I really thought the Chosungah22 Bounce Up Pact Ultra SPF50+/ PA+++ | is just gonna be another BB Cushion. Surprisingly, it's a mixture of powder and cream foundation. 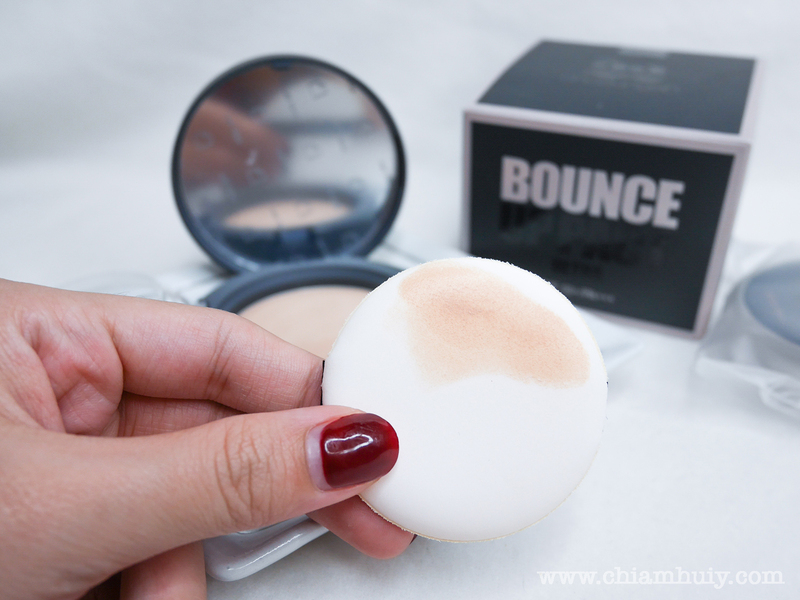 It looks like cream foundation from the pact, but when swatched it feels just like powder foundation. Can't really tell from the picture but the finishing is matte, just like powder foundation. The colour I have is 01 Light Beige, but it doesn't seem too whitish or pale on the back of my palm. 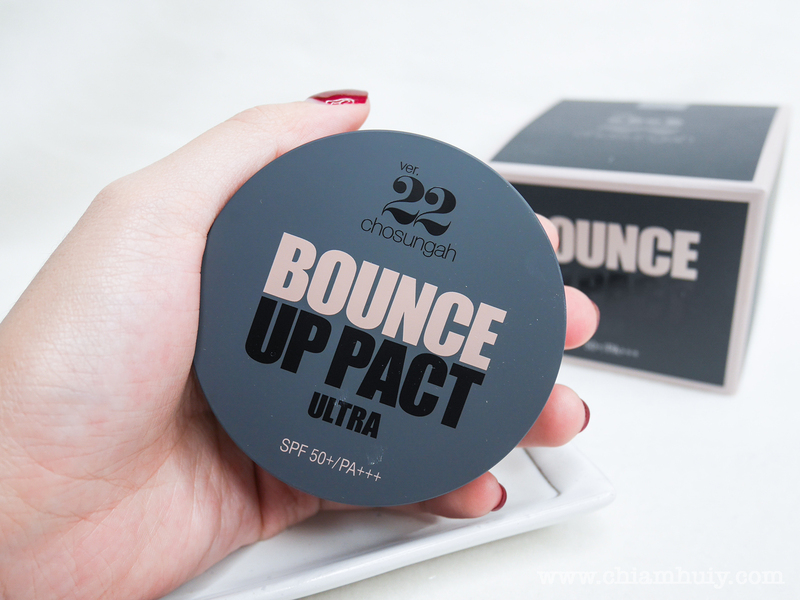 Chosungah22 Bounce Up Pact Ultra SPF50+/ PA+++ soft and bouncy texture is capable of providing long lasting moisture and sheen. 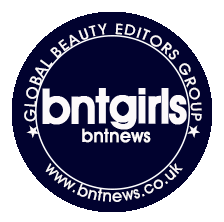 It even has lifting effects to make the skin look firmer. 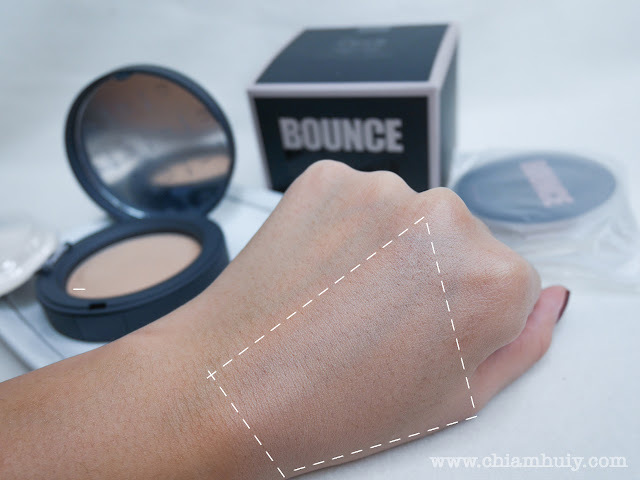 I quite like the finishing of this Bounce Up Pact. 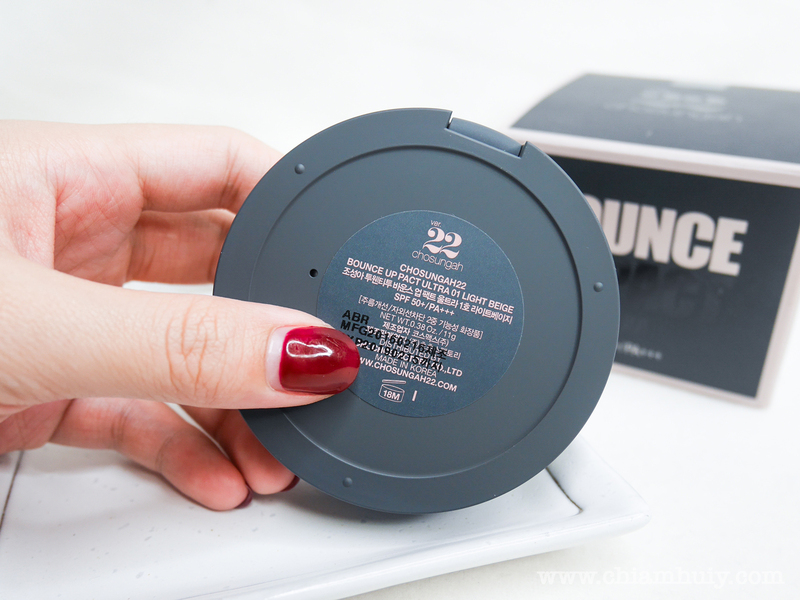 It's so matte, it feels just like powder. I am moving forward to more of a matte finishing look so this is definitely promising.